The annual CAWV Scholarship Golf Outing will be held Friday, May 31, at Berry Hills Country Club in Charleston. We are limited to 20 "Sixsomes" for both the 7:30 a.m. and 1:30 p.m. starting times. For morning golfers, a luncheon will be held immediately after play. For the afternoon golfers, dinner will be held immediately after play. Awards will be presented at the luncheon for the morning flight and at dinner for the afternoon flight. 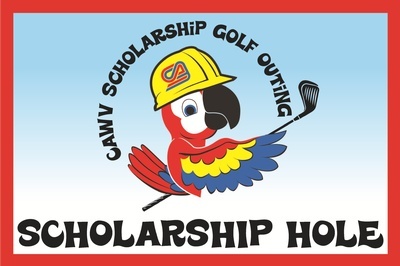 All proceeds from the golf outing benefit the CAWV Scholarship Foundation.